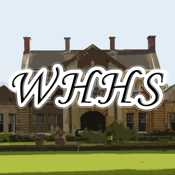 The aim of WHHS is the preserving and publishing of information and artefacts relating to Whitchurch Hospital in Cardiff. It is a unique place, with a very exciting history. Opened in 1908 as 'Cardiff City Asylum' it was used as a military hospital during both World Wars. This app contains numerous useful resources to keep up to date with the work of the society.